It’s possible that there’s nothing in life quite as satisfying as riding a motorcycle down a long stretch of highway at night; the wind rushing past your face, the steady rumble of the engine drowning out stress, and the perfect nirvana between the rider and road that only a motorcyclist can know. … Until an SUV the size of Jupiter pulls onto the highway. You can clearly see the SUV, but the SUV driver might be too busy talking nonsense at Siri and guzzling gas to notice the lone light adorning your hog. The danger motorcyclists face when night riding set off Howard Lee’s spidey sense (and entrepreneurial spirit); the result of Lee’s sensitivity to this danger is BikeLink. 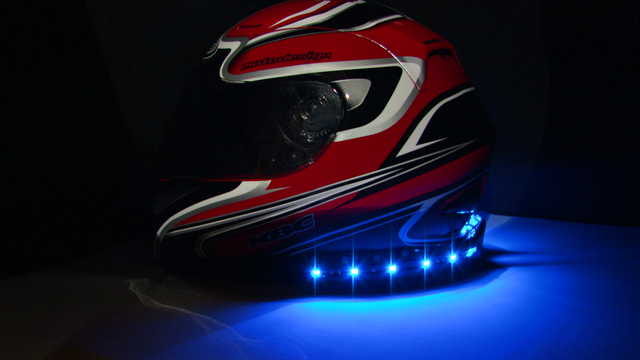 BikeLink is a helmet lighting system designed to coordinate with motorcycles’ turn signals, braking lights, and hazard lights to increase visibility. The system consists of two parts: a small, lightweight device that attaches securely to the back of motorcycle helmets and an easily installed wireless transmitter that connects to the motorcycle’s wiring harness. The technology is securely controlled from motorcyclists’ smart phones; interference from other devices is not a possibility. Lee and his team of developers have worked diligently to perfect BikeLink for the past 2.5 years; the team is now utilizing Fundable to raise $75,000.00 to aid with expansion and distribution costs. BikeLink has already received a warm media welcome (check out its article on Cycle Matters, a fantastic motorcycle site). Don’t miss your chance to get in on the action – visit Bikelink's profile now!